Sarah Woodberry is the executive director of The Darien Foundation. Picture taken March 19, 2018. DARIEN — Sarah Woodberry didn’t anticipate living in Darien. In fact, she came to town from New York City in 2009 to spend more time with her family living in the area for what she planned would be a one-year stay. Slowly, that year turned into nine, as she has become a part of the community. Woodberry was born in Boston, but her family moved to Greenwich when she was 2, and not long after, to Dallas, where she finished high school. She learned Spanish along the way, which helped her immensely when she ventured to Morelia, Mexico, to study abroad for a semester while an undergraduate at Dartmouth University. Woodberry was recently appointed as executive director of the Darien Foundation, a nonprofit that provides grants to initiatives with technology and educational purposes. To learn more about the foundation, visit darienfoundation.org. wanted to help the community through an organization that benefits different members, and I’m excited to get up and go to work every day,” Woodberry said. With three months at the helm, Woodberry is wholly focused on the task at hand and is always meeting members of the community. 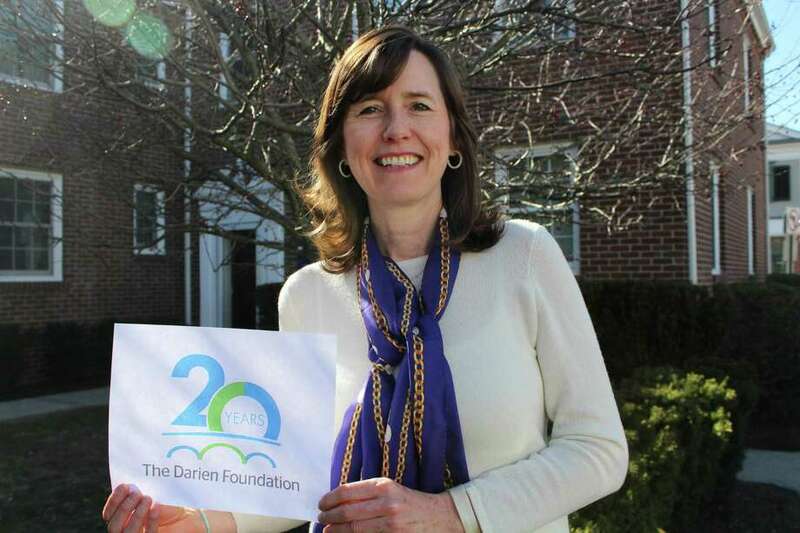 “The Darien Foundation is my primary focus. I’m learning a lot, as I’m new and it’s fun. I get to learn about the aspects of the town and it’s a collaborative effort,” the 54-year-old said. Being part of a team is something Woodberry has always enjoyed. A former journalist, she worked at Time Inc. and Reuters, places where she was able to improve and advance her writing, but also be a part of a multiparty effort to create a polished product. Woodberry retains that steadfast passion for writing as a freelancer and member of the editorial board of the Dartmouth Alumni Magazine. During the summer, she volunteers for a weeklong program at Norwalk Community College, where she teaches creative writing to middle school students. “It’s great to see the kids have that spark from reading and writing and coming up with story ideas,” Woodberry said. With creativity bouncing off the walls, Woodberry isn’t short of funny anecdotes. “One year the kids killed off Luke Skywalker when they rewrote ‘Star Wars’ and I said, sarcastically, ‘You can’t do that!’” Woodberry said. The Darien resident has been working on a novel for years, though she plays it close to the chest and keeps details about it to herself. For now, Woodberry has her eyes on the upcoming 20th anniversary of the Darien Foundation and the plans to celebrate the big occasion. “We’re a very approachable organization and we’re happy to listen to people and their ideas,” Woodberry said.